Have you ever walked into a room and instantly felt that something didn’t feel right? You can’t put your finger on exactly what the problem is… but the energy just feels… well, wrong?! When you’re planning for your events, you’ll be focusing mainly on the physical aspects of the room set up… but how much time do you give to creating positive energy in the room? Why is positive energy in your room so important? When participants enter your room for the first time, they will be building an impression of you and your brand. As I outlined in the first paragraph here, how the room “feels” is just as important as how the room looks… and to give a fantastic first impression both the look and feel need to be positively aligned. If you get this wrong, people will feel unsettled when they enter the room. Get it right and your room will help your audience to feel safe and secure. Your room will feel like a comfortable space for your clients to be, and exactly the right place for them to feel at ease with taking the next step with you and your business. Wonky chairs… even if they’re only very slightly wonky, will throw your room into instant disarray. 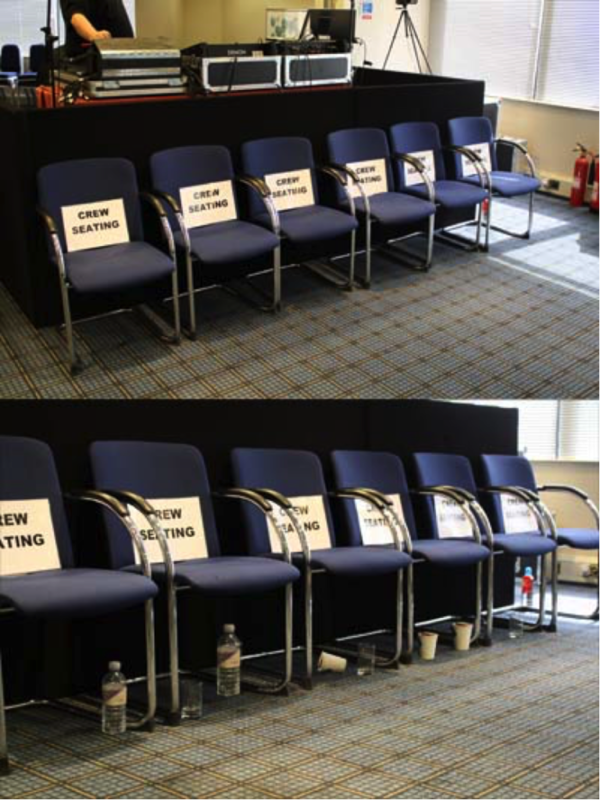 A line of chairs that aren’t perfectly straight distracts attention unconsciously. I know it seems ridiculous, but did you know that something out of place on your desk distracts attention 6 times a day. Multiply that by, well, lots… and you get the impact of a messy seminar room. If your room looks “thrown together”, then your audience will perceive that your business has no real structure either. Unconsciously- if you’re making an offer to your audience- there’s a high chance you’ll be facing an underlying resistance – they may be concerned your product is sloppy and slapdash too. 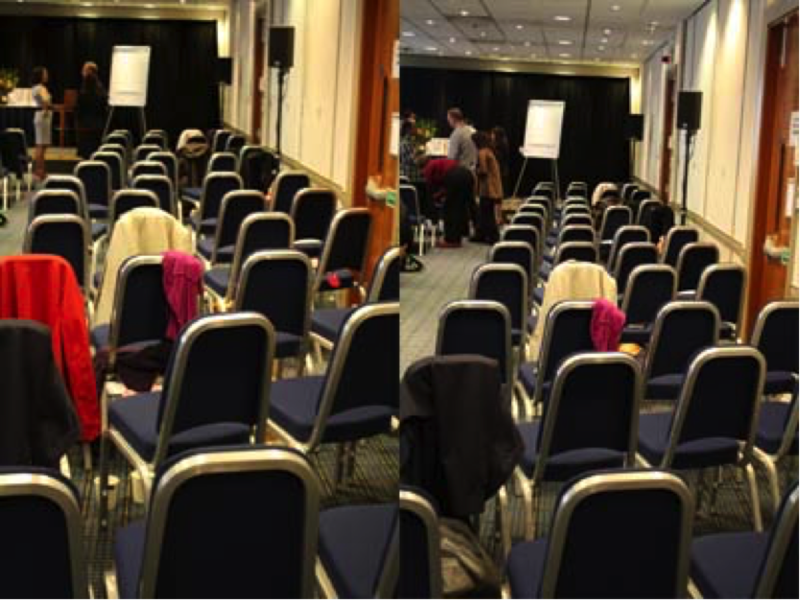 A quick and easy way of ensuring the chairs are completely straight is to have one person at the back of the room looking down the sightlines of the chairs towards the stage – this way it is obvious when a chair is out of line. If you find any chairs that are out of line, have a second person go to the out of place chair and adjust it… under guidance from the person with the sightline. It won’t take long, but it will have a big impact on your room set up. 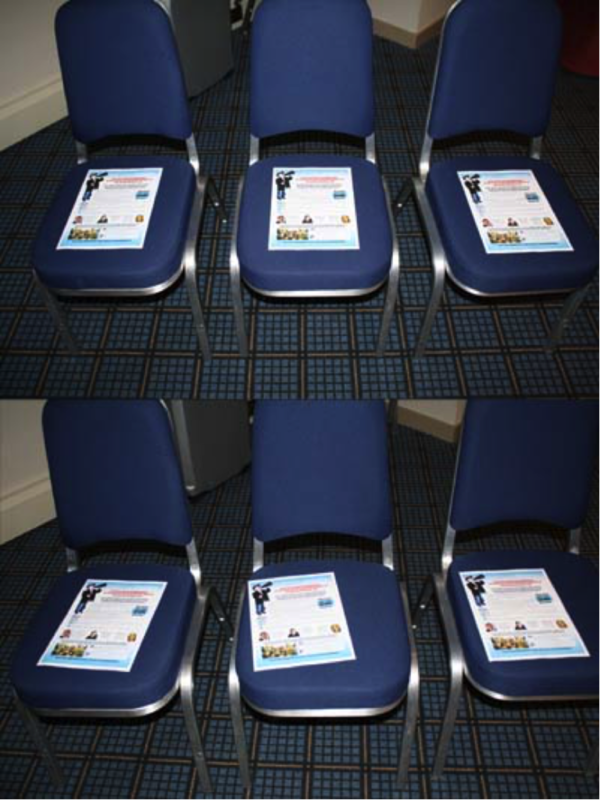 Sometimes you will want to provide extra information to your clients by placing a flyer… or handout on their seat. If you put them out upside down, skewed, or generally looking like they have just been thrown down on the seat “willy-nilly”, this again is creating the impression of a “slapdash” business. 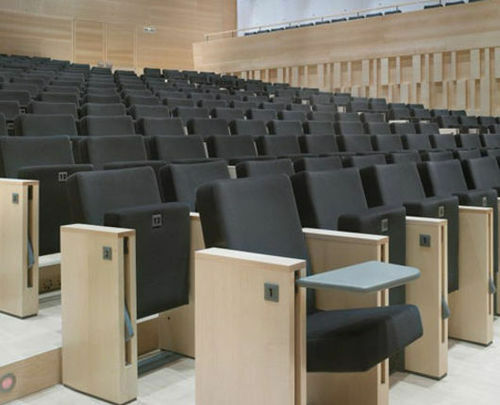 Anything you place on seats should be centred on the chair in such a way that when the participant returns to their seat, the base of the leaflet is at the front edge of the seat – the part of the seat facing the stage. It will take very little additional time to ensure this job is done properly… especially if you have a crew member who enjoys getting the details spot on. But again, making the effort to get this right will have a big impact on your event energy. Make sure that your team (we call them crew) know not to leave their cups or belongings etc under their seats. … Ensure there is NO clutter whatsoever around the service table if people are purchasing anything at your event! How do you feel when you go into a shop and the half eaten lunch and coffee is o the counter? When your attendees can see your mess and clutter, it is something else that gives them the impression that you have a sloppy “couldn’t care less” attitude towards your business. Because don’t forget… when it is your event, your room is the biggest representation of YOUR business! So, there you have 3 simple, subtle but very effective ways to support the unconscious impression your business makes at your seminars. These tips will help you create a good positive professional vibe too! Next time you go to an event, take notice of whether they have applied these tips and how the room feels as a consequence.